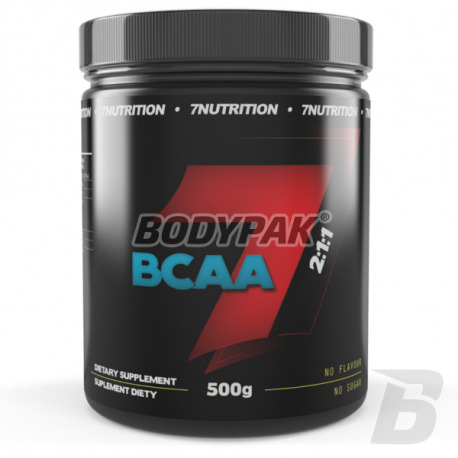 The highest quality BCAA 2: 1: 1 dietary supplement company 7nutrition. Following the adoption of this supplement you get an increase in strength and muscle mass and your recovery after intense training will run much faster so far. Leucine, isoleucine and valine are three branched chain amino acids side belong to the essential amino acids, ie those which the body itself can not be synthesized and must receive them from the outside with food. In addition to leucine, isoleucine and valine for amino acids also include phenylalanine, methionine, tryptophan, threonine and lysine, but the first three (leucine, isoleucine and valine) constitute 40% of the daily requirements of essential amino acids. The recommended intake of leucine is 40 mg / kg of body weight per day, and isoleucine and valine is in the range of 10-30 mg / kg of body weight per day. In order to meet these needs 7Nutrition created a new form of the product based on amino acids BCAA - BCAA product 100%. Bardzo dobry produkt, cena mogłaby być niższa, ale wydajność 1 opakowania to rekompensuje. 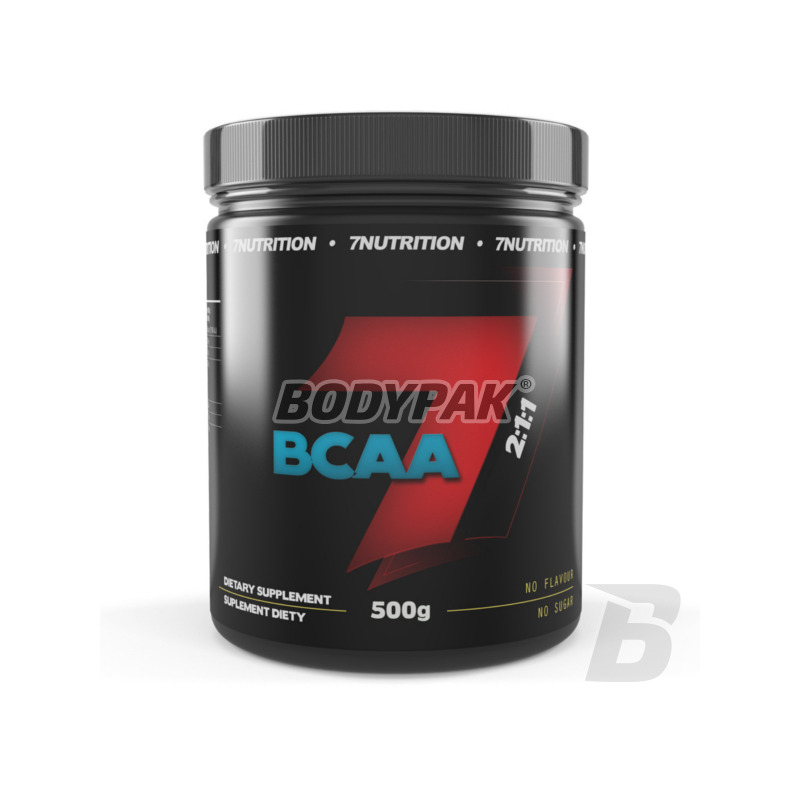 100% BCAA w BCAA - to właśnie lubię! Kupuję w okresie odchudzania żeby zabezpieczyć mięśnie przed katabolizmem i by wzmocnić regenerację - polecam!